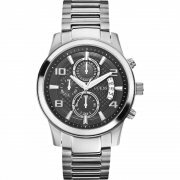 The Rush I90199G3 from Guess is a gents fashion watch. 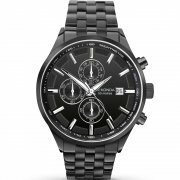 The watch has a black analogue dial with arabic markers and a day & date display in subdials. 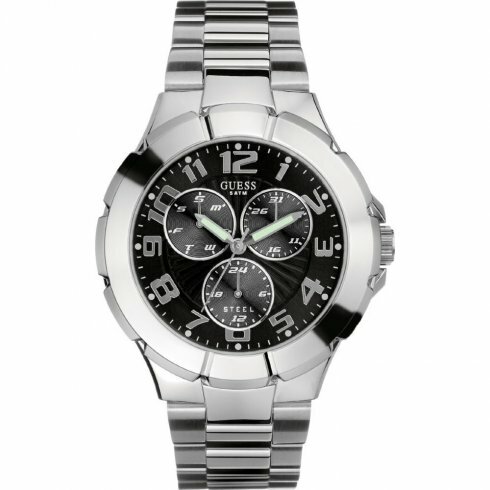 The case of the Guess I90199G3 has a width of 43mm, excluding the crown and has a thickness of 13mm. 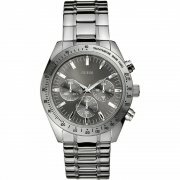 The case is made from stainless steel and has a chrome finish. 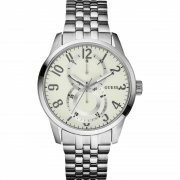 The watch has a stainless steel bracelet and fastens with a push-button three-fold clasp. 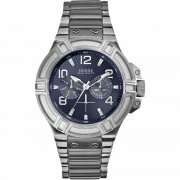 The I90199G3 is rated 50m water resistant (5 atmospheres) and suitable for swimming but not diving or snorkeling. 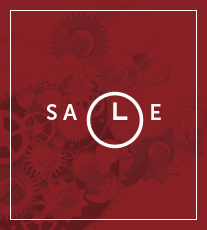 The Guess I90199G3 also features; 12/24 hour time display. 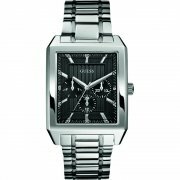 Guess Rush I90199G3 gents watch comes with two years guess limited warranty and supplied in the manufacturer's packaging.